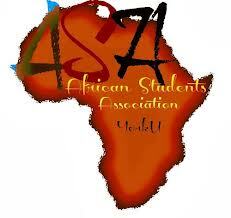 African Students Association aims to bring together students with an interest in Africa and to raise awareness of social, political, economic and other relevant issuers concerning the continent in the York community. 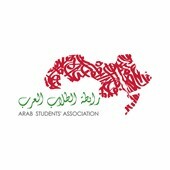 The Arab Students' Association (Arabsa Canada) is a student run organization at York University. It is a social, educational and humanitarian club. It organizes informative events for Arab and non-Arab students. Our goal is to educate and entertain in a respectful manner in order to add to campus diversity and awareness of the Arab heritage. Association des Étudiants Francophones et Francophiles de York (AEFFY) seeks to unite Francophone and Francophile students on campus and foster an interest in Francophone cultures and the French language. It offers academic-oriented and socio-cultural activities in French appropriate for all levels of French language proficiency. AEFFY is affiliated with Department of French Studies in LAPS and Founders College. AEFFY a pour but d’offrir des activités et de la programmation académique et socio-culturelle en français et de se réunir les étudiants qui s’intéressent à la langue française et les cultures francophones. Le club AEFFY est affilié avec DEF et le Collège Founders. The Canadian Civil Liberties Association at YorkU is the first campus chapter of CCLA ever established! The goals of CCLA YU include fostering respect and recognition of fundamental human rights and civil liberties, and educating and advocating these rights and liberties to York University students and the larger community. Through various debates, discussions, events, and public initiatives, we aim for York University students and the larger community to take on a leadership role and become more active in respecting and promoting human rights. To be a part of CCLA YU, contact us at cclayu@yorku.ca and make sure to come out to CCLA YU events! The aims of the Chinese Students Association shall be the promotion of better understanding and welfare among Chinese students from any part of the world, and the evocation of Chinese culture. 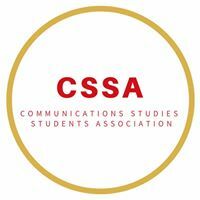 The Communication Studies Students Association (CSSA) gives students an opportunity to enhance their university lifestyle by partaking in club events and making new friends and connections. 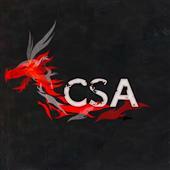 The goal of the CSSA is to mix academic and applied communication themed events and club socials. The Egyptian Students Association (ESA) is a group dedicated to celebrating Egyptian's rich culture with anyone who is interested in Egyptian heritage. 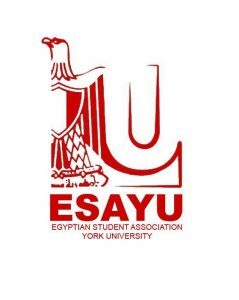 Our mandate is to connect and unite the Egyptian population by building bridges between Egyptian students within the York community. ESA is a student run not-for-profit organization, comprised of progressive and enthusiastic volunteers; motivated by the idea of creating positive changes within their community. 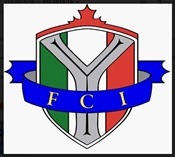 The mission of the Federazione Canadese Italiana at York University is to promote and sustain Italian culture and language through social and cultural activities, both at the university and in the surrounding community. In all of our endeavours, we strive to provide an environment in which Italians, Italian-Canadians, and those who appreciate Italian culture can acquire and practice our cultural traditions. Previously known as WSUSC (Women's Studies Undergraduate Student Collective), Feminist Action is about bringing an activist spirit back to our campus. We're interested in anti-oppression politics and doing rather than just saying. While our activism is based on a radical, anti-racist, queer, grassroots lens, we do recognize the multiple interpretations of feminism and celebrate and support this diversity. We also recognize that the history of the feminist movement in North America has been one that has excluded the voices and opinions of marginalized women. Thus we hope that our grassroots approach will allow us to dismantle structures of power from the bottom up, while being as fluid as possible. Our aim is to work outside of societal systems in order to question what we consider 'normal'. It is through this activism that we hope to blur traditional identity categories and structures of power in our fight for equity. All are welcome: students, non-students, those in the WMST/SXST majors, and anyone with a natural interest or inclination towards feminism. Ahnnyonghaseyo! (Hello in Korean) If you are interested in Korea or learning about Korean culture come join our club ! We hope to introduce Korea through cultural activities, social meetings and language exchange. Anyone and everyone are welcome!! Students pursuing a degree in International Development are strongly encouraged to participate in the activities of the International Development Student Association York (IDSAY) which is the student wing of the IDS program. The Association creates opportunities for students to participate in the process of giving the Program a more creative shape. It also raises the profile of the Program, creates awareness among the faculty and students about development challenges facing the world today, keeps students informed as to job opportunities in the broad field of International Development, and organizes different events for students and faculty. The IDSAY also aims to provide students with an open forum for debates and discussions around developmental issues and concerns. It also is a great place for students to socialize. The International Students Association at York aims to act as an official student group to represent international students and exchange students at York University. ISAY aims to help create, sustain and strengthen a safe space for international/exchange students to express and address their concerns. Our goal is to promote, coordinate and direct activities that are in the interest of our members to enrich cross-cultural communication and provide a space in which Canadian domestic and international/exchange students can connect and share their university and life experiences. 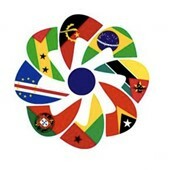 The Lusophone Association (YULA) focuses on Unity, Community and Education. We seek to connect with the Portuguese-speaking students at York and with the Portuguese-speaking community in Toronto and the GTA. The YULA also promotes post-secondary education at high schools to Lusophone students and engages in fundraising initiatives for First-Year-Entrance-Scholarships for students of Lusophone descent. 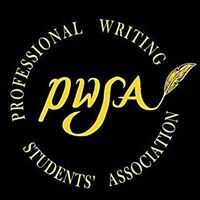 The Professional Writing Students' Association (PWSA) sets out to provide Professional Writing students an extracurricular environment where they can connect with their peers and share their writing. 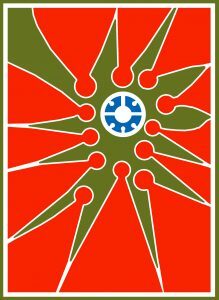 Throughout the year, the PWSA plans to host various events and opportunities for ProfWrit students. 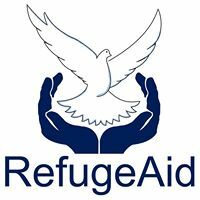 RefugeAid is a student led initiative which provides humanitarian aid while raising awareness about current and emerging trends affecting refugees and asylums seekers. RefugeAid is a non-religious and non-political organization. RefugeAid is currently working with Medecins Sans Fronteires/Doctors Without Borders (MSF) and the United Nations High Commissioner for Refugees (UNHCR), with a particular focus on the Syrian refugees living in camps throughout the Middle East. We also collaborate with the Centre for Refugee Studies at York University. 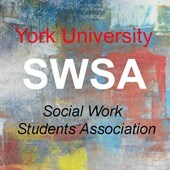 The Social Work Student Association came to be during the academic year in 2006 out of a growing concern that the students of the Bachelor of Social Work Program were largely unrepresented within the York University student community and formal administration. Moreover, there seemed to be a deficit in terms of student engagement within the Social of Social Work. We, the students of the Social Work Student Association (SWSA), establish this constitution to guide the formal procedures of the association. Women Empowerment Club is a new initiative aiming to unite both York University campuses, Keele and Glendon, to promote women leadership and improve women social status. This will be achieved by running events such as: -Self-defense classes for York students-Community Service and Humanitarian Actions-Affiliation with Engaging Girls, Changing Communities (EGCC) which offers job, internships to female students.-Organizing Guest speakers conferences to serve as an inspirations for female leadership-Fashion catwalk demonstrating WEC`s diverse perspective of what is a strong woman (cultural or career oriented). To learn more about our affiliated student clubs, including events held by each club and how to join, please visit yuconnect. For more information on obtaining club status or in creating your own student club, please visit yuconnect or contact the Centre for Student Community & Leadership Development (SC&LD) at 416-736-5144. For questions regarding club space or how to become affiliated with Founders College, email founders@yorku.ca.